Now a days Facebook has become a hobby of every people starting from a teenager to an old men. As you know that Facebook overtakes every social media services like twitter, Google+, LinkedIn etc. 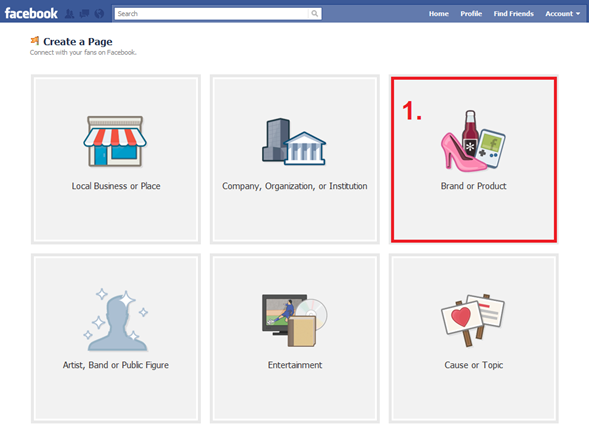 Hence, its Fan page means a lot for a successful webmaster to share things what he/she wants. I thing all you know its importance. Even now a days companies and advertiser also promoting their fan pages instead of ads. Fan page means a particular Page of a celebrity or some authority where he/she can update and share things what he/she wants. Visitors can comment and like their status also. This lead to the grow of an community and interact with each other. You can also design/make your pages looking beautiful with lots of Facebook apps in the store to attract visitors. Therefore to do all this things, Facebook would be the best platform for you. Drive huge traffic to your blog/website via Facebook Fan page by sharing your posts, news, information to it. Posting on your Fan pages will also increase your SEO. How to make Facebook Fan Page? 1.) First go to http://www.facebook.com/pages/browser.php and click create a Page. 2.) 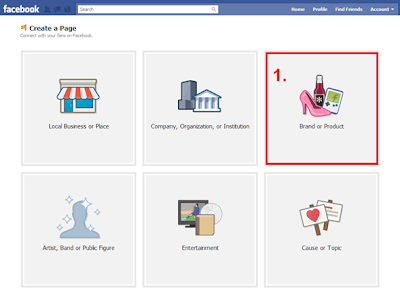 Now click on Brand and Product category and select website option. 3.) Now fill up the proper information about your website. 4.) Upload an image for your fan page. 5.) Optional- Invite your friends to join this page by providing your previous email account to Facebook (import contact). 6.) Now once you reach your Fan page homepage, click on edit profile and then fill up all other necessary information about u and your website. for ex- Description, author, feeds, contact no. etc.. 7.) Don’t forgot to change your Facebook Fan page address to simple one like this- www.facebook.com/earningmethodsonline by clicking on Username on under edit info tab. All done! your Facebook Fan page is ready to be served.